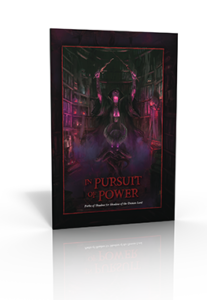 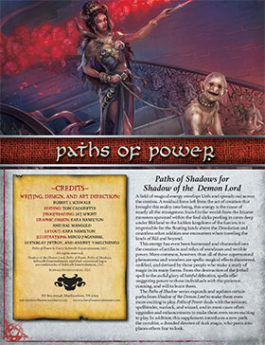 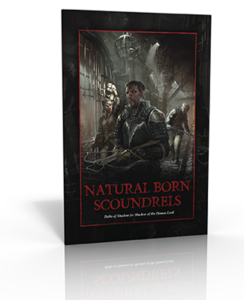 Paths of Shadow is a series for Shadow of the Demon Lord RPG that is dedicated to exploring and expanding the paths in Shadow of the Demon Lord. 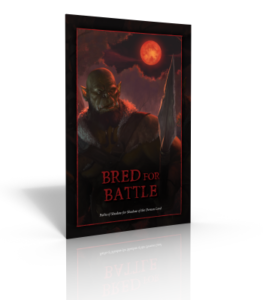 Bred for Battle builds on the warrior novice path presented in the main rulebook by providing new customization options for combat-focused characters. 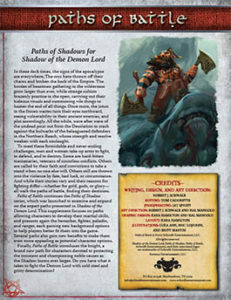 These options offer more variety in technique, reflecting the nature of a warrior’s training and providing inspiration for future development.